Match is having its north west premiere at the Seattle Lesbian and Gay Film Festival, with Stephen Belber the director and Matthew in attendance. We have two tickets to give away which also includes entrance to the Hotel Max reception after the movie. The screening is held on Friday 17th October at 7.15pm at the AMC Pacific Place, 600 Pine Street, Seattle WA 98101. 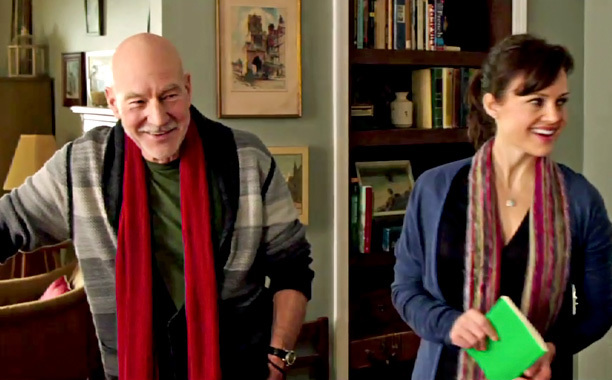 Match features Sir Patrick Stewart as Tobi, a gay ballet teacher, his quiet life is brought into perspective when a young couple from Seattle visit him as the wife portrayed by Carla Gugino is working on her dance thesis. As the couple question Tobi, his wild life in the past is brought to the fore and Tobi begins to question the couples motives. “Emotions erupt and secrets are revealed—truths none of them want to face. All involved must come to terms with their own choices and the paths they have taken in life in order to move forward. Please leave a comment or tweet us on @mattlillardfans to be entered into a giveaway to win two tickets to the screening with entrance to the Centerpiece Reception after. This competition will close tomorrow evening at 8pm Seattle time (PDT) and the winner will be notified by email or social media.